A virtual data center is a term used to describe a cluster of online data that encompasses a cloud based infrastructure for a specific need of a business enterprise. In other words, it presents a virtual data cluster that is located on a cloud service, which offers a particular advantage for a business or some other organization. These advantages can include things like increased computing power, larger storage capacity or additional bandwidth. But, having a virtual data center in the modern technology environment is not only a simple advantage; it is a required necessity for any company or a firm. With the current state of advances that are being made in the field of Internet technologies, running a regular business based on old IT concepts is not enough. The ability of a cloud service to move data and applications to the online domain means having more flexibility and more options for everyday tasks. Here are the benefits of having this kind of data center in any business environment. Cloud technology is becoming more and more popular, but because of this fact, it is also becoming more dangerous for the end users. The increase in its popularity means having more malicious figures lurking around the cloud providers, looking for an opportunity to strike and produce damage. Virtual data centers have the capacity to include firewalls, control and safety application and other means of countering these threats. By validating applications to the data center, it can block or stop rogue applications, known and unknown assailants, and many other threats, but without losing performance. With a virtual data center, all users can set their most important applications to the status of Zero Trust. This status means that users are never trusted and always need to verify their authenticity before they can continue to access the center or make changes in it. With this safety measure, the most critical part of any virtual center can be additionally protected so that in a case of a breach of the firewall, the assailants still cannot get complete access. This added layer of safety measures can turn to be invaluable in the case of a cyber-attack. While all this security is present in a virtual data center, this does not mean that using its applications is difficult or problematic. 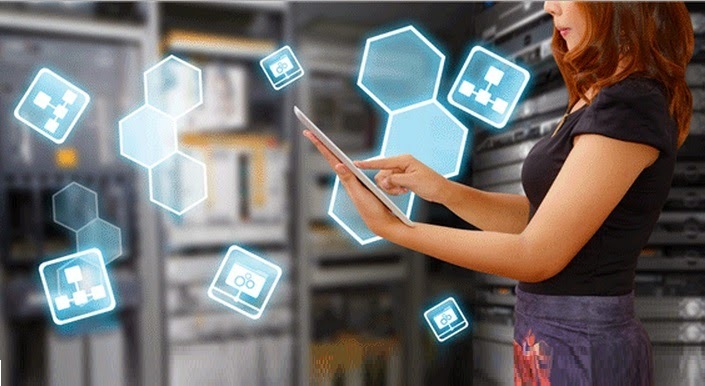 By utilizing a very flexible protection system that is connected to firewall standards and application verification procedures, the data center can easily enable applications that are needed by the users. This is achieved through a very thorough control of traffic, where the data center determines what comes in and what comes out. Because of this, validated application can be run without any problem while potential threats are stopped and isolated. At first glance, it could be perceived that a virtual data center is a large an ominous structure with many different branches of management. But, the truth is that all these features are located in a centralized environment, where they can be easily accessed and used. The same centralized management HQ can also be used to control every aspect of a data center. With this crucial element, the entire virtual data center can be utilized as a single effective tool. Because of these characteristics of a virtual data center, there is no doubt that using one can bring many substantial advantages for any company.